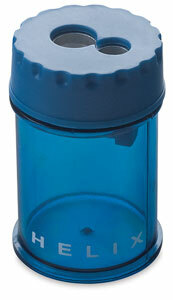 Hand-held sharpener with durable plastic barrel which twists off to empty shavings. 1-hole standard unit. 2-hole unit has separate holes for standard and larger pencils.